Surface materials are details that can have a great impact on our environments and ultimately our lives. Wallcovering by definition offers an alternative to bland, industrial materials (ie plasterboard). It adds more interest, depth and texture than paint, yet remains understated. Wallcoverings add interest to an environment without being distracting. We are pleased to announce our foray into wallcoverings with this lovely collection of 6 woven fabrics. For the past 20 years, Luna has become renowned for our stellar offering of fashionable contract textiles. We’re especially known for our vibrant, playful graphic upholsteries and our textural, light-capturing panel fabrics. As workplaces have changed with the times, we are seeing more open offices with communal benching systems in place, which means less use for panel fabrics historically used for cubicles. 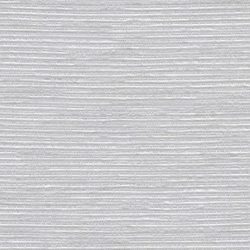 But designers and workers still have an appreciation for the aesthetic qualities found in our panel fabrics: elegant, understated textures, serene colors, and reflective yarns. We began to notice more and more designers were specifying our panel fabrics for direct glue application on walls. After extensive research and testing, we created a collection of six woven fabrics made especially for wallcovering use. HARMONIZE features a subtle organic texture and subtle colors to create a heathered, slub-like appearance. IDYLL achieves the essence of natural fibers, though crafted from durable man-made materials. The moderate texture is reminiscent of burlap, cotton, or rattan, adding a more rough-hewn aesthetic to the collection. Light catching yet subdued, INCANDESCENT’S color range includes brights in addition to calming neutrals. The combination of polyester and polyethylene creates a unique blend of beauty and functionality. SCINTILLATE is a timeless textile which effortlessly creates a continuous, glimmering surface. SIGNAL has an etched quality reminiscent of mid century designs and textures, yet with the addition of shimmering polypropylene, offering a more contemporary touch. Perhaps a bit more regular than Scintillate, SYNTHESIS still manages to wow with its sparkling polyethylene yarns.